Please find here our directory of properties on offer for sale like hotels, resorts and other commercial properties. 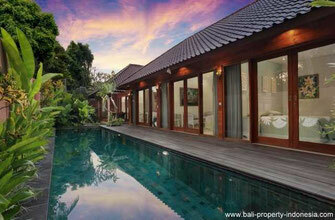 To go to the page of the property of your interests please click on the pictures or the button "More information". 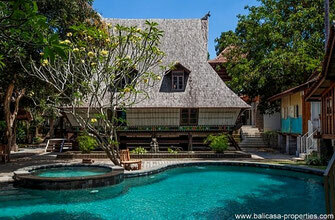 Pererenan boutique hotel for sale, just about 200 meters from the beach. An hotel with 7 rooms and yoga facilities. 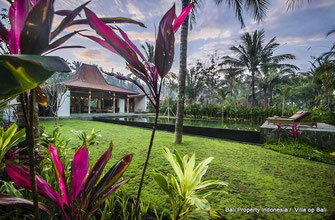 Exceptional joglo resort is for sale. A unique place to run your business as a normal resort, yoga, spa, or sport resort.